Situational mood problems like a temporary break up, money issue, or argument with a friend can seem devastating but anxiety or depression treatment can seem unfit at the time. Mood problems in general can create various types of distorted thinking like tunnel vision, all or nothing, and black and white thinking. I like to call this type of thinking “Rough Draft” thinking because it’s sloppy and not reflective of our entire strength and resilience. More specifically, the cerebral cortex is capable of more developed thinking than these thought processes, but it may need time and reduced anxiety to work effectively. Combining mindful awareness and physical activity is a possible solution to this dilemma. To put it simply, you can be deliberate about matching emotional pain and exhaustion to physical pain and exhaustion. This will allow you to access a higher need of care that you might be depriving yourself of if you are emotionally devastated, which may help you handle mood problems outside of therapy sessions. For example: running for 30 minutes will likely make you want water, food, or sleep. Meeting any of these needs will nourish the body and give your brain more of a fighting chance to reason through emotion and access your self compassion. If the mind/body connection has not achieved this desired effect, it has taken up some time for your mind to develop a second draft way of thinking. Physical exhaustion also provides an alternative method of breathing. It’s no secret that breath nourishes the mind and body and it’s often the first thing we forget to think about in times of distress, like moments of heightened anxiety. Studies show that controlled breathing can decrease the hormones released by the brain in times of stress. Symptoms of depression and anxiety often include feelings of lack of control so controlled breathing helps us control something within us at a time when we feel we cannot control our thoughts or emotions. For more information on the Power of Your Breath check out Andrea Gargano’s blog on this site. Controlled breathing combined with improved self talk, such as messages like “I will be okay,” and “the time to worry about this is not now,” can help in times of depression, anxiety, and even panic. It’s important to adopt the belief that how we feel might not be how we will feel in a period of time. This period of time can be as short as 10 minutes or after a simple self care activity like drinking water, focused breathing, or eating a healthy meal. If you’re reading this because you’re currently struggling with depression, anxiety, or any kind of distress, you may be having doubts at these techniques’ effectiveness, or thinking they likely will not solve the problem causing your struggle. I challenge you to label this type of thinking as a maladaptive thought or “Rough Draft” thought. The “Rough Draft” term suggests that a second draft is in the works and many times these techniques work whether you believe in them or not. You’ve heard of the phrase “fake it until you make it,” and this applies to developing your mind and body connection. 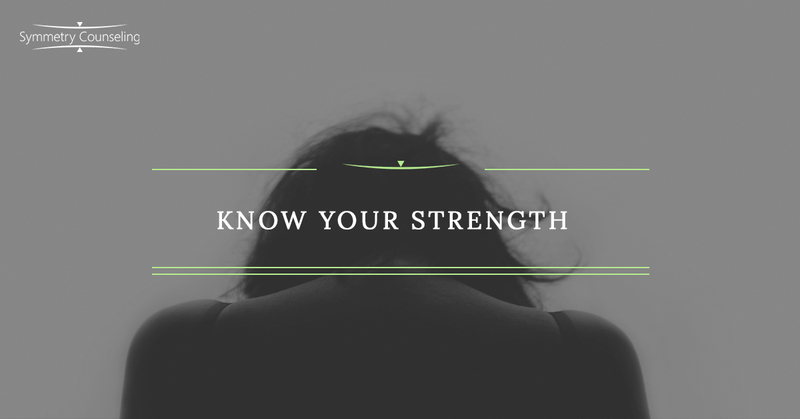 By understanding your own mind and body connection, you can armor yourself with tools to contain and manage negative emotions. For more support in managing mood problems, whether you struggle with anxiety, depression, or any other emotional or mental health issues, schedule an appointment with a counselor. Learn techniques for emotional coping and more through therapy with a knowledgeable counselor by contacting Chicago’s Symmetry Counseling online or giving us a call.